AAA Aviation Flight Academy is now conveniently located at the Langley Airport. The beautiful City of Langley, British Columbia is located only 51 kms from the Vancouver International Airport. Langley is a unique City forming part of the Lower Mainland and provides a wonderful work, business, and recreation balance for the residents of this community. The Langley Regional Airport is a controlled airport with a Tower Controller. Students receive more in-depth training at a controlled airport which greatly assists the student pilots learning the relevant procedures and radio communications for flying in a controlled airspace. Furthermore, the student has a great advantage of learning at a less busy airport, all the while learning the intricacies of a controlled airport. A controlled airport means that a student will become very comfortable communicating with the tower; which is particularly helpful for the student wishing to pursue a career in commercial aviation as a commercial pilot. Langley Regional Airport offers the advantage of more than one runway which means potentially more flying days as aircraft will be less affected by the wind with pilots being able to adjust to the appropriate runway given the wind conditions. If becoming a professional pilot is your dream, youâ€™ve come to the right place. AAA Aviation Flight Academy is a Transport Canada approved flight training unit. We are a PTIB Designated Academy, Institution No. 3921 and Ministry of Advanced Education, EQA Designated School with a DLI Number for the international students. We offer a unique combination of professional training with very cost effective pricing. We offer a payment plan and a â€œPay-as-you-flyâ€ policy. We are very fortunate in the Lower Mainland of British Columbia of having a temperate climate that offers year around training and flying. Contact us for more information about our courses, training, intake dates and to address any questions you may have about why AAA Aviation Flight Academy is the school for your training needs! Fly with us! 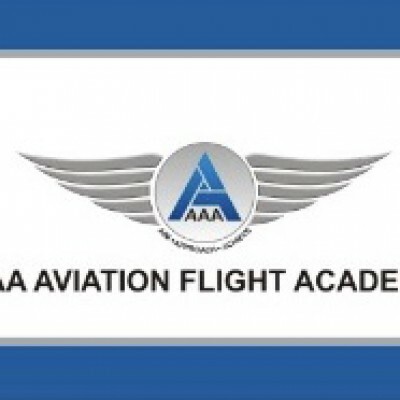 Be the first to review AAA Aviation Flight Academy!